I come from good tech-loving stock. As a very young child, some of my earliest memories are of talking computers with my father (one of those "early adopters" Apple is always priding themselves of having - he's been buying Apple products for as long as I can remember). I can clearly recall the first time he introduced me to email, probably on his Newton. Deeply ingrained in my childhood, my own curiosity and explorations have nurtured these interests in technology, the internet and later social media, into passions. Nonetheless, in at least a few very significant ways, I hate the internet! One of the worst developments in television, not to mention American culture, is the 24 hour news phenomenon. When there is a lot of high pressure news (like during a major mid-term election, several national crises, two wars, a Chilean mine disaster...et cetera, ad nauseum) having constant coverage sure is riveting and entertaining (if not a little frightening). When the flow of news slows down just a little bit, some of those producers and news directors seem to try to will a story into the hearts and minds of the public. When unforeseeable tragedies occur, the very same news directors are ready to step in and compete for high ratings, market share and increased ad sales. Every issue, no matter the actual importance, is magnified and over-analyzed, keeping viewers glued to the commentary. Indeed, one of the unintended affects of everybody living large parts of their lives on the internet is that things get get blown way out of proportion. Perhaps there is more to the term "going viral" than previously assumed. There is something disconcerting about some small contagion as an article, photo, song or video taking over a massive share of the attention on the internet. The rapid spread and short-life of these viral fads are strangely reminiscent of the common cold. You could almost expect to hear someone complain about catching a bad case of the "double rainbows" while at a friends house..."I'm so glad I was careful, because everybody at that party had a touch of The Christine O'Donnell witch thing too..."
As we ask ourselves whether constantly staring at a screen instead of actually experiencing things is good for us, we can also ask the question, isn't part of learning actually going through unfruitful searches and struggling to find the right information? I have always held the belief that the process of something is far more important than the actual result (and, if you do things right and work hard, results take care of themselves). The internet, in part (also all modern conveniences), removes what might be the most important parts of learning: the arduousness of searching for information and the struggle for knowledge. Take J.S. 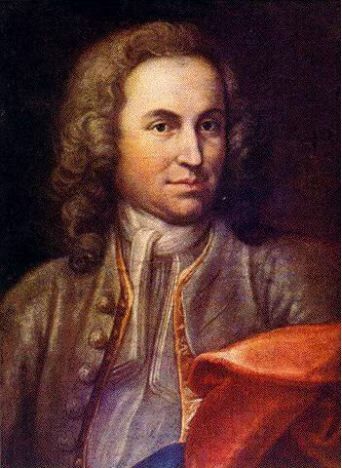 Bach, Baroque composer born in 1685, as an example. As the teenage student Bach pursued his career in music, he was required to copy and re-copy the then-masters' musical scores over and over again for broad use in orchestras, distribution, or his own personal study. Initially, this repetition was probably amongst the most boring tasks young Bach the student had to complete. Nonetheless, the hard paid menial work payed dividends in the end, resulting in a back-filled knowledge and vast understanding of music, which along with his indelible talent (and the fact that history seems to have all but forgotten that many who knew him implied that he was a pompous and bitter curmudgeon) contributed to his development into one of the great masters of classical music. Even though the printing press had been invented, it was wildly expensive to use (not to mention more time consuming than just copying something by hand), therefore, much of the dissemination of music before the 19th century was made possible by just this kind of activity, bored students learning the fundamentals of music through repetition. By the beginning of the 20th century, printing was big business, and the idea of copying out a score by hand had already fallen out of fashion. Now, I can pull up virtually any musical score (at least in the public domain) from the comfort of my home, I don't even need to sharpen my quill or set my type. As much as these kinds of things bother the heck out of me, I still can't help but see the amazing effects and incredible benefits that the internet and technological developments have brought - even with all of the annoying little negative aspects, I still love the internet. Yes, I love the internet and my computer and all of the fun and distracting stuff I can do, watch, listen and read...but there is one thing, one little aspect of the most recent tech boom that has stuck a huge thorn in my paw.